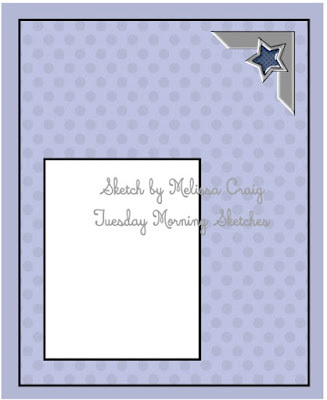 Hello everyone: I think this is the first time I post a card that is really small, this is maybe not an actual card but a note, something that I can tuck inside my hubby's lunch box Monday morning. I will link this card/note to a few challenges at the end of this post. This note card measures 3 1/4 x 3 1/4. The image is from a Power Poppy set called Sunny Harvest, I partially stamped it on watercolor paper with Stazon black ink and colored it with SU markers. The sentiment is from the set. 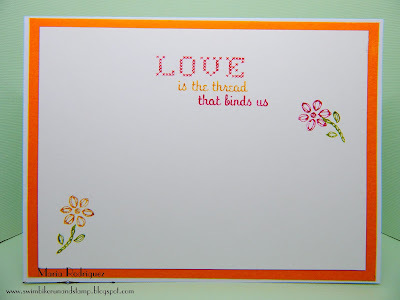 Here is a picture of the finished inside of this note card. Both sentiment and flower are from the set. I'm linking this note card to the following challenges. 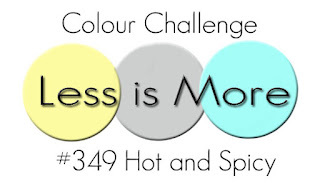 Muse Challenge #237 Our Muse is Tracey M. McNeely. Moving Along With The Times Challenge #56 "Autumn/Fall"
4 Crafty Chicks Challenge #372 "Fall"
Hello everyone: I'm so getting in the mood for Halloween so I'm making a few more cards for my stash to send out to family and friends, near and far. 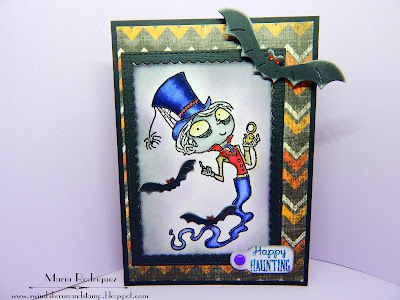 This handsome fella is a NBUS stamp from Kraftin Kimmie, I don't know why I haven't used it before, he is quite a looker, all dressed up and ready for some haunting fun. I stamped the image on watercolor paper with Versafine black ink and colored with my SU markers. The pattern paper is from my Halloween stash, the bats are die cut but I don't know where the die came from, might be from Cherry Lynn. I added a bit of Cherry Cobbler Dazzling Diamonds for the eyes, hope you can see it. This is a picture of the finished inside of my card. It's not a second card, just wanted to make sure to clarify this because of the challenges I'm entering. 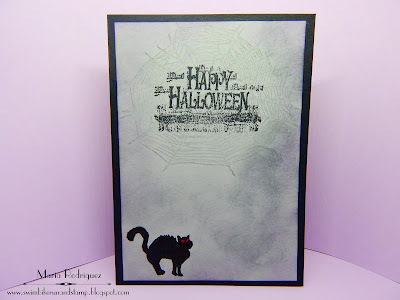 The sentiment is from Inkadinkado and the black cat and spider web are from a retired SU set called "Bite Me"
Cardz 4 Guys Challenge #180 "Boo/Halloween or Autumn Thank You"
Crafty Sentiments Designs "Halloween/Fall Challenge"
Tiddly Inks Challenge #206 "SpookaBoo!" 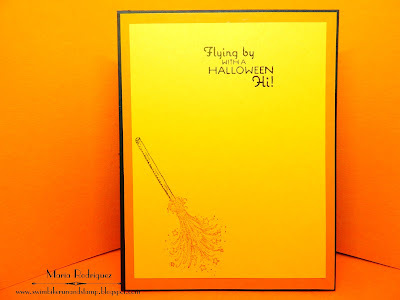 Try it on Tuesday "It's Halloween Time"
Hello everyone: October is in full swing and soon, Halloween will be here so, his is your chance to increase your stash of "Spooky" and "Frighting" cards to send to family and friends. The RETRO RUBBER challenge for this next 10 days is HALLOWEEN so, go look for those forgotten stamps you know you love, ink them up again and join my teammates and I in our gallery. So hop over the challenge to see what my awesome teammates created for your inspiration. I just adore the House Mouse siblings and, can you blame me? I mean.....just look at these three sweeties Trick or Treating, all dressed up and looking so "scary". The label on this stamp dates back from 2002 but I bought it probably about 5 years ago. This is a big image so I just stamped it on a piece of watercolor paper with Stazon black ink and colored it with SU markers and some Sakura Koi watercolors, the pattern paper is a piece I found in my box of retired SU DSP, it was just the right size for this panel, phew!! the ribbon is from my stash. Here is a picture of the finished inside of my card. I've been finishing the inside of every single card I make since January, this saves me a ton of time when I need to mail my cards. 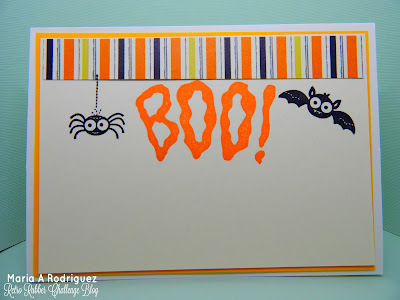 The sentiment is from an old stash of Halloween stamps, I think it's from Stampendous but I'm not sure, I apologize for this. The little spider and bat are from a retired SU set called "Googly Ghouls" that came out in the 2012 Holiday Mini. I hope you play along with my teammates and I in the RETRO RUBBER gallery, we can't wait to see what you create. I'm entering this card on the following challenges. 2 Crafty Critter Crazies "Must Feature a Creature"
Animal Friends Challenge #55 "Fall/Halloween"
If The Shoe Fits.....Wear It!!!!! 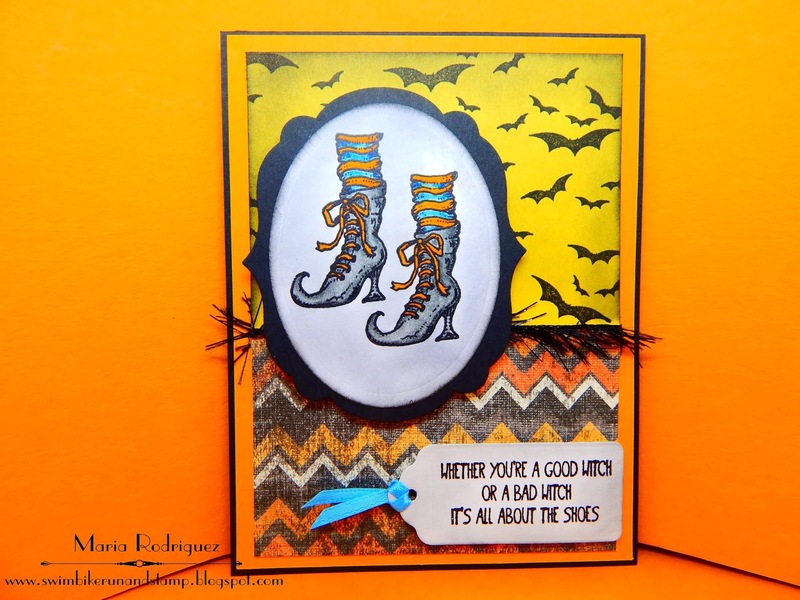 Hello everyone: There is a new challenge over at SHOPPING OUR STASH, this week, the theme is SHOES, shoes of any kind so, I created this card which that I hope will inspire you to come and join my teammates and I in our gallery. Aren't this Witch's shoes just awesome? 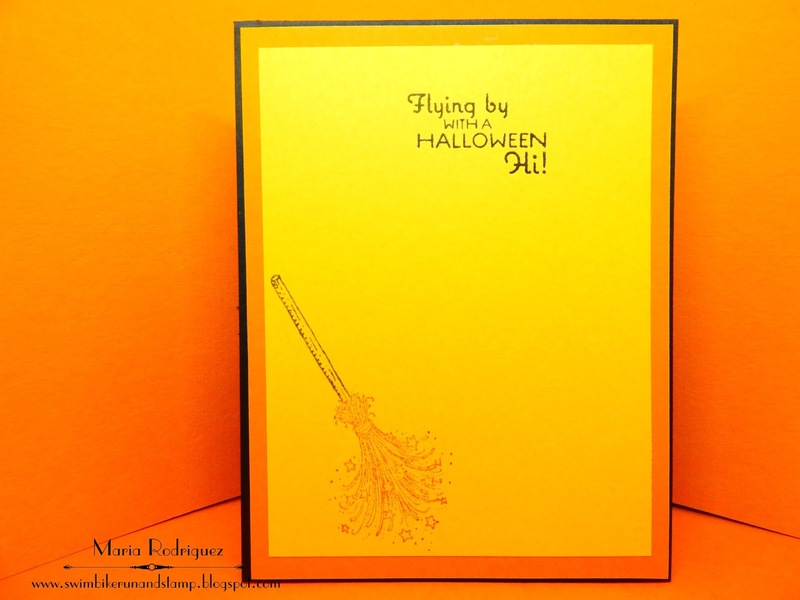 This image is from my stash of retired Flourishes sets called "Witching you a Happy Halloween" it came out back in 2010, it has some fabulous images like this one. I stamped the shoes on water color paper with Stazon black ink and colored them with SU markers, the bats are from a background stamp I think from Penny Black but I could be mistaken. 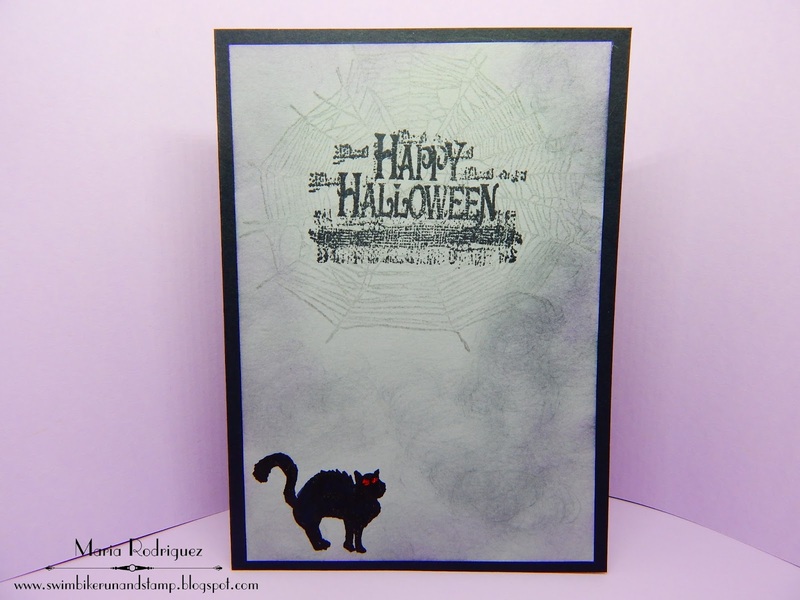 The pattern paper is from my Halloween stash, I just realized I need to go get some more. I found the black ribbon in a bag of bits and pieces and it was just the perfect size. The sentiment is from a retired SU set called "Tee-Hee-Hee"
The sentiment and broom are from that Flourishes set. 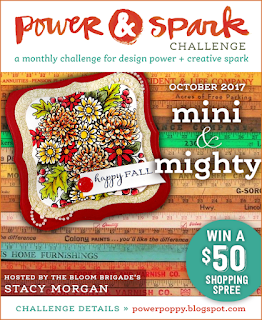 I hope you stop by the SHOPPING OUR STASH blog to see what my awesome teammates have created for your inspiration and join us in the gallery. 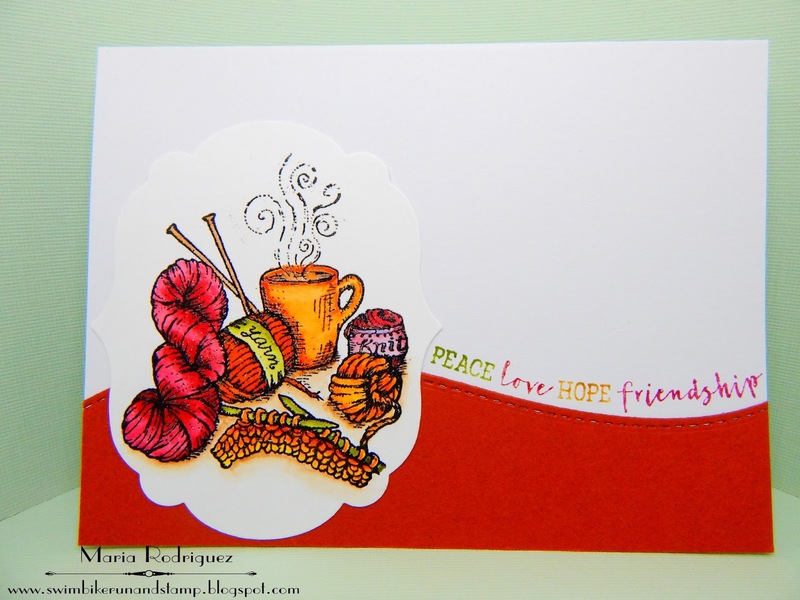 Hello everyone: Sweater Weather is definitely here so I made this card featuring one of my other favorite pass times when the cooler weather arrives.....KNITTING. When my grandchildren were born, I knitted a warm and fussy blanket for each of them, not to mention baby booties, little hats and scarfs. I miss those days when they spent weekends with grandma and grandpa and each time, brought their blankets, dragging them around all over the place, sigh!! Where did the years go? Anyway, here is this card that I will link to a few challenges at the end of this post. 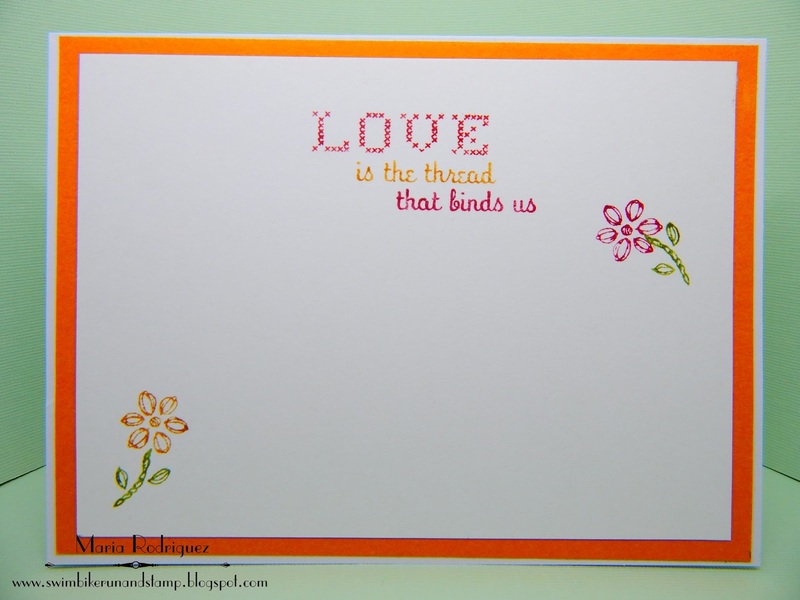 This image is from an old Flourishes set called "Stitched with Love" and it just makes me want to cozy up with my yarn and needles and a hot cup of tea and knit away, I might just do that soon. 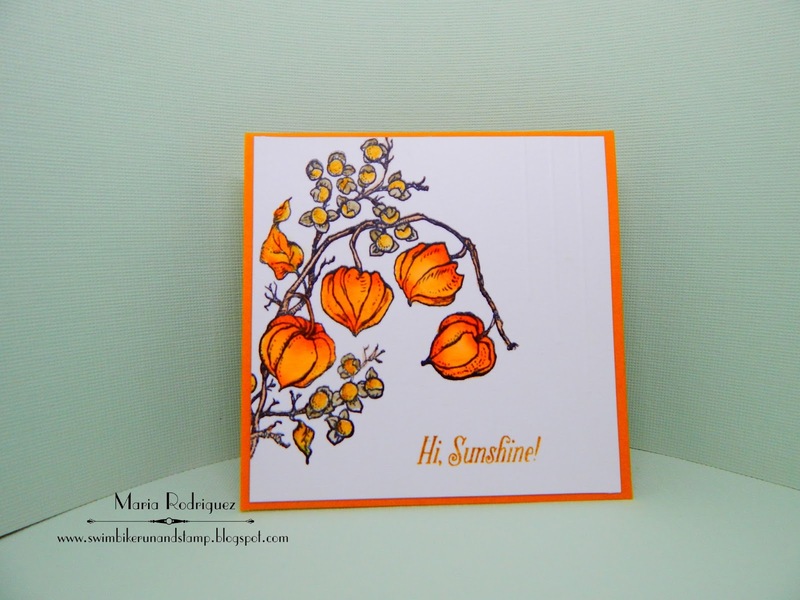 This stamp set was created by Marcella Hawley when she was designing for Flourishes and now, she has it as a DIGITAL IMAGE at her Power Poppy store. 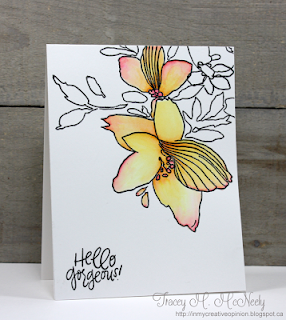 I stamped this image on watercolor paper with Versafine black ink and clear heat emboss it, then colored with some SU markers and Sakura Koi watercolors. 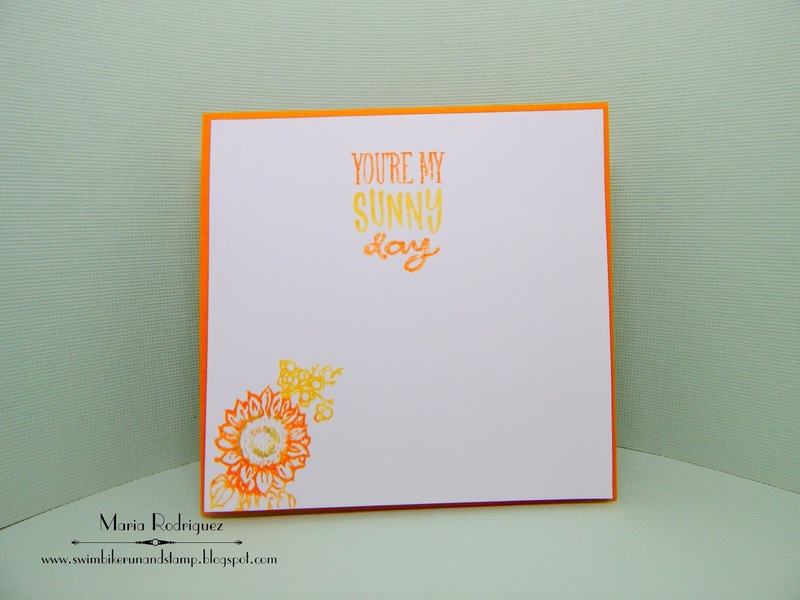 The sentiment is from a Power Poppy set called Cozy Cupfuls which I stamped along the curve of the die cut panel. Both the sentiment and the little flowers are from the Flourishes set. "Less is More" Hot and Spicy colors. CAS on Friday Challenge #118 "Fall/Halloween"
Crafty Catz Challenge #387 "Anything Goes with optional twist CAS"
Pattie's Creations Design Challenge #139 "Shades of Autumn"
That's Crafty! 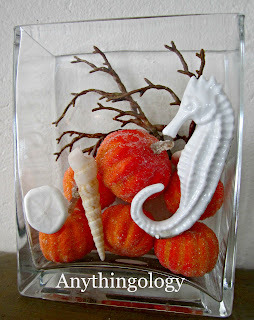 "Forever Autumn" Challenge.